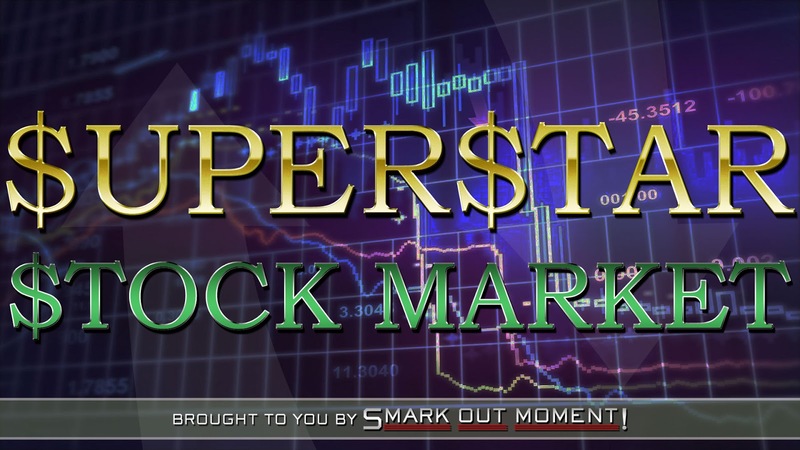 Superstar Stock Market: Does Bobby Roode have Glory in his Future? 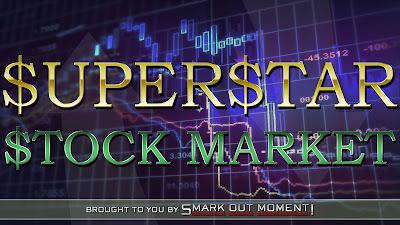 Thanks to some generous investors, Superstar Stock Market is back! This is the series where Smark Out Moment's resident financial advisor guides you on the future of the WWE's upcoming talent. Examining details from booking to backstage, ring skills to crowd reaction, we analyze if a superstar is worth investing in, or if they'll leave you in emotional debt. This edition concentrates on a wrestling veteran and one half of the Raw Tag Team Champions at the time of writing, the Glorious Bobby Roode. A mainstay of TNA for a long portion, and recently has been a part of NXT, then SmackDown Live and now Raw. Roode has won quite a lot of gold in his still short tenure in the WWE, and has been a important feature of the midcard. But does being a tag team champion ensure a bright successful future for Roode? Possibilities can be achieving immense success like The New Day and The Shield, or whatever place we have for The B-Tteam and The Colons. Which path will this former United States and NXT Champion follow? And with such a bloated current day roster will he rise to the top again, or are his days of single's glory in the past? So read on too find out if the Glorious one's potential stocks in the market have a future as shiny as his robe. 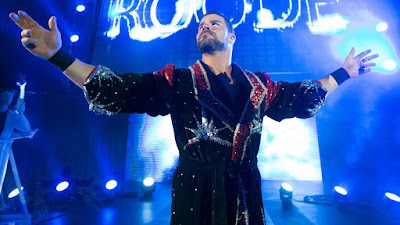 Trained in his home country of Canada, Bobby Roode began his work with small Canadian independent promotions and a Puerto Rican one (WWC) in 1998 at the age of 21. He spent few years working with Reality Action Wrestling, NWA affiliated promotions and even dark matches for the then WWF. 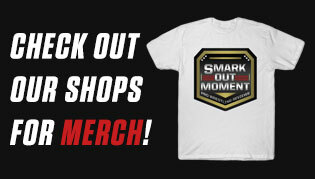 But it was in Total Nonstop Action (TNA) where he gained his fame and expertise. He spent a very lucrative 12 years in the promotion, as he was switching names from Robert Roode to Bobby Roode and TNA slowly grew to be super popular and became the #2 American promotion after WWE. Roode spent these years in tag team competition as part of Beer money as well as in the mid card and main event scene, being a important fixture wherever he was on the cards and winning gold in each division too. After this is when he decided to join NXT which slowly is becoming the go to place for top superstars of other promotions. Becoming NXT champion there and having a great reign, he was then called up to the main roster on SmackDown live, but as a face instead of a heel now and there he continued his career. Starting of 2018, by winning the US Championship on the 16th of January after winning a tournament, the year seemed to be assuredly a great one for him. However it was soon realized that it might not always be the case. Roode went on to defend his title at the Rumble, in a open challenge pre-show match against Mojo Rawley, a defense that was certainly seen as a low point for him. But then after a good defense against Rusev, lost the title to Randy Orton at Fastlane. This was transformed into a 3-way feud with Mahal and then finally a Fatal 4-Way at WrestleMania with Rusev too, which Mahal won. Also during this time was Roode participating in and going really far in the Mixed Match Challenge with partner Charlotte Flair. So the first part of 2018 was unstable in terms of highs and lows for him. After Mania was a fresh start for Roode as he was moved over to Raw as part of the Superstar Shakeup and was revealed as a shock entry to a main event tag match, presenting him as an immediate top tier addition. But again things cooled off as he played an ordinary role in the Greatest Royal Rumble and then a time filling rivalry with Elias. Though he did participate in the Men's Money in the Bank ladder match, that loss really put him to the back of the line on Raw. May to September was filled with worthless losses and really presented Roode as filler to Raw while appearing on main event too, until September 3rd where a new chapter began. 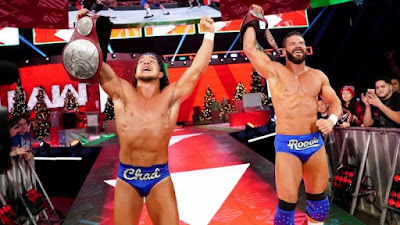 Bobby Roode was paired up with Chad Gable as a sort of completely random alliance. It started off very slowly and with no fanfare just weekly matches but after two months of this was when they were pushed, captaining the Raw tag team side on the Survivor Series pre-show and then contending directly for the belts. Finally, on December 10th, they beat the AOP and Drake Maverick in a handicap match, winning the Raw Tag Team Championship. Though this reign would be smeared by the creative team not giving much attention and having feuds based on pee, it still has been presenting us with good matches when given the chance. Also during this period was season 2 of the MMC where he and Natalya participated, but unlike last season, did not perform that well. No pun intended here, but his impact on TNA was major, with tag team, main event or other title divisions largely putting him on center stage and his top runs there really defining Impact wrestling at the time, putting him as an original and sort of a legend over there. Even in NXT he will be remembered as one of the greatest heels, till date at least, presenting great rivalries and a main even run. On the main roster, though, it is not nearly as powerful. He certainly has built his place, and up to date has played a big role in the midcard and tag team division. But his impact has been of a veteran mid player in the shows of Raw and SmackDown, but not of a top star role like in previous positions. On NXT and majority of his Impact run, Roode had a look and character that although does sound common and basic, was taken by him and used in a way that had his distinct elements, which helped make it interesting. He was a cowardly and self absorbed heel, wanting his greatness to be recognized and for him to automatically be given opportunities. The obnoxious look and portrayal really worked well and fit in perfectly to the shows. But it has been diluted way too much since he was called up, converting to a bland babyface left with the theme song, catchphrase and robe - tangible parts of the gimmick that made him so great earlier. While the look is glorious of course due to the sparkly robe and royal air around him, his current gimmick seems to have no base except a veteran wanting to be good. This has been hampering his growth and connection with the fans recently. The in-ring work of Bobby Roode gives off a very old school vibe, it is one with lots of grappling and holds and slow wearing down of opponents. Roode is a superstar who cannot be faulted in his fundamentals and basics, showing a great side for storytelling and technique. But while a great technical wrestler, there seem to be a lot of different opinions on how entertaining he is in the ring, ranging from top class to decent and for some, boring. It appears that this style some times and to some fans may appear as slow and dull which takes away from the match for them, but for the other opinionated fans as masterpieces. Effective classic moves like the Impaler DDT (glorious DDT), spinebusters, chops and suplexes round of his typical offense along with a few blockbusters and neckbreakers here and there. So the fans tastes and Roode's adaptation are the two instrumental factors that decide whether his ring work shall help his rise or lead in a decline in the future. The wrestling world was instantly intrigued and got talking when Bobby Roode made his debut in NXT with a promo and the declaration of his glorious shtick. His charisma and mic skills along with how he portrayed himself got him noticed as a important character even by those unfamiliar with his previous work in TNA. Even there, as part of Beer Money or the condescending main-eventer, his promos are known to be great and he has lots of charisma. The only problem is that he has to be cast in the right role, because as we have seen on the main roster, his character has seemed bland, a lot of his feuds have seemed to have no substance and hence the output quite often has not been good. So if casting is right, Roode can easily win over the show with his gift of gab. Roode has held all kinds of gold during his time in Impact, and the main one of NXT so that of course makes him a top level guy with lot of championship experience and credentials. Even on the main roster he has held the US championship before and at the time of writing is one half of the Raw tag team champions. These reigns show that on the main roster he is already established as a important part of the midcard. Unfortunately, they have not been special yet, and treatment in this department has not been very kind to him. Apart from maybe his time and moments spent as TNA World Champion coming close, this seems to be undoubtedly Bobby Roode's greatest moment till date. After a hot debut with the catchiest theme song on NXT TV and then a great showing at Takeover, Roode seemed earmarked for NXT success, And despite his veteran status being on a "developmental" show presenting a different picture earlier, Roode's popularity grew, entering him into the main event scene of NXT. On this night, appearing as a great arrogant heel against Nakamura, Roode wore down his knees in a great technical match-up with a dominant ending of Shinsuke not being able to continue and creating a great moment- crowning Roode as the NXT champion and being the beginning of a great reign. WWE Raw October 1st 2018: Losing to the Ascension? This is the moment I would label as the low of Roode's career in the WWE, though it does pick up slightly a month and a half after this, slightly.... Among the pre-show royal rumble open challenge answered by Mojo Rawley out of all people, being squashed by Braun in a singles match and tag team battle royal, and a few times wrestling on Main event, this is the weak one. No offense to them, but it is no secret how less cares in the world there are for the Ascension, by the fans or by WWE management. Not only was Roode put in a mini feud with Konnor and Viktor besides his randomly booked tag team partner Chad Gable, but this sub 5 minute singles match saw Konnor beat and pin the former TNA and NXT Champion. Yes, Konnor pinned Bobby Roode and another part of this whole mess is how nobody in the crowd cared about the partnership between Roode and Gable, or about the match, which lead to complete crickets in the audience. A career filled with main event championships and high level glory to attain the status of a highly respected vet, leading to such booking? What a low. Fans might get tired of the theme and catchphrase shtick. You may have noticed the constant highlighting of unstable booking patterns and age of Bobby Roode which will of course directly effect his future as part of the main roster. Hence despite his talented promo skills, veteran status and technical wrestling skills, the disadvantages seem to have a higher bearing on the fact that I do not consider Roode a very promising investment. As part of the midcard though, despite his previous booking patterns there still is a place for the Glorious one to fit in. His use in previous places like Impact and NXT (part of WWE of course) has been monumental to the promotions and that can be brought back in the way of a heel turn. Perhaps the veteran status, championship history and all the experience in his prior gimmicks show that in the long run, he will do good as a stock security. After all the theme song and robes are still cool! And all of this exists not to mention his superior storytelling in the ring when given a chance. 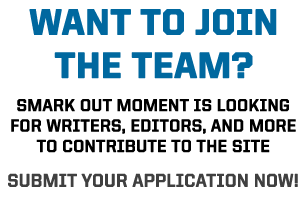 However the roster is the most bloated it has potentially ever been, and the recent McMahon regime takeover seems to suggest pushing of younger faster superstars like Mustafa Ali and Andrade, or those with a certain aura like Strowman and Reigns rather than those with old school vibes. Additionally I assume due to above mentioned factors, that his time in the main event scene is up and not enough time will be spent in his character growth. 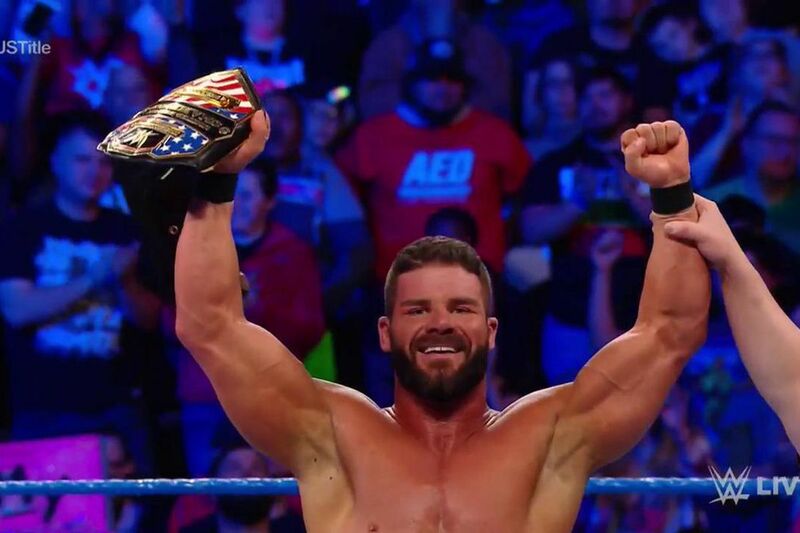 I feel occasional IC, US or tag team titles, guiding younger talent and putting them over when necessary will define Roode's future in the company, which while is a great role many wish to be in, does not promise much when searching for superstars offering the brightest of returns on investment. This is all speculation of course, and in the end the talented general may just end up having a future much more Glorious than anticipated by me in this article. STOCK ADVISEMENT = Bobby Roode seems to be a risky investment and presents a case of unstable yet upward returns that do not seem to exceed the upper-midcard level. Many other superstars part of the same roster appear to present more returns offering higher stability. WILL YOU BE INVESTING IN BOBBY ROODE? 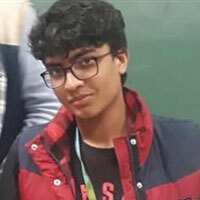 Aryan is a final year high school student from India. Apart from wrestling he likes pop, hip hop, food, rain and laughing.